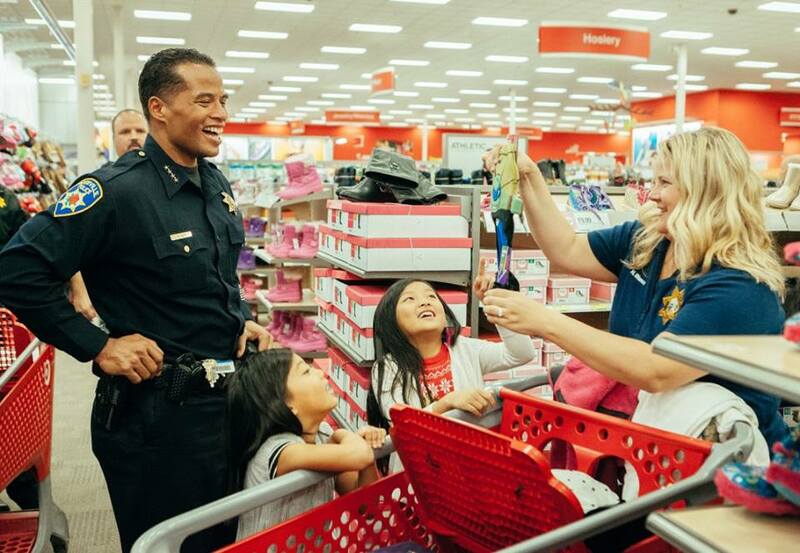 For the last 18 years, Fountain Valley and Westminster police officers and professional staff have volunteered to treat children to an opportunity to Shop With A Cop at the Westminster Walmart. 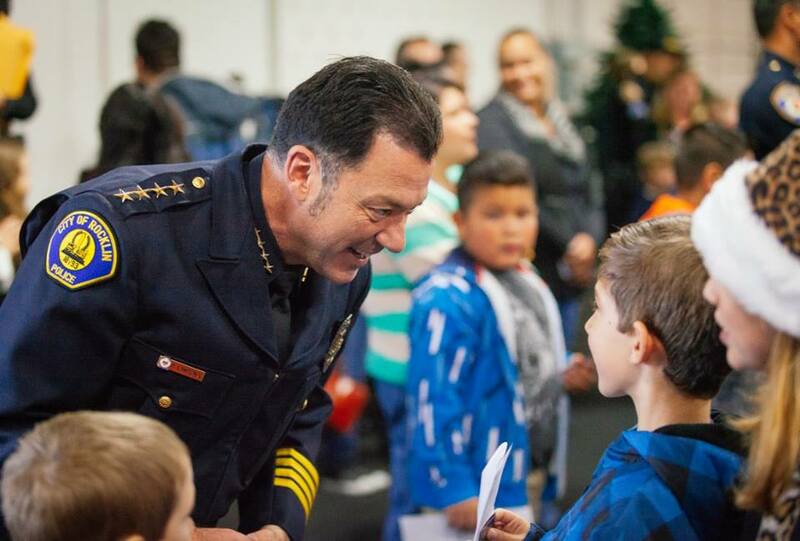 This year, over 40 children were able to get a head start on the holidays with gifts provided by donations from the Fountain Valley. Toys, toys and more toys for our annual Adopt-A-Family events.....thanks to FPD employees! Happy Holidays! Wow! 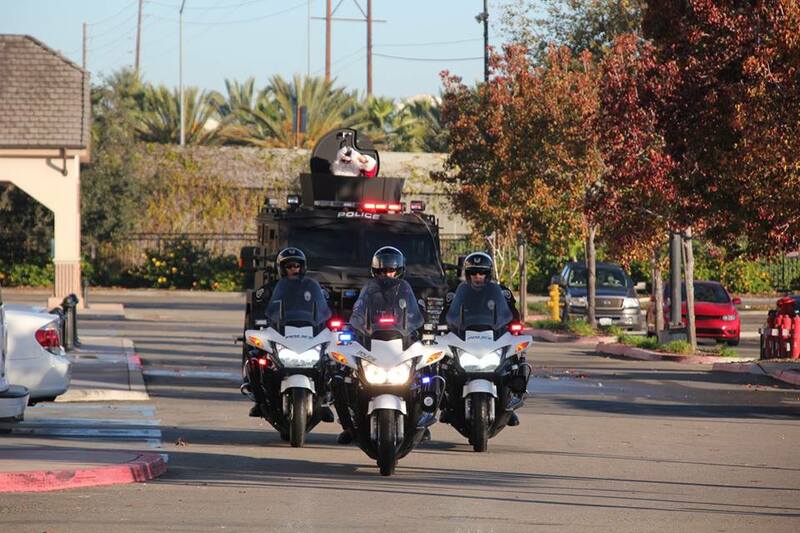 Pinole Police Department ROCKS! 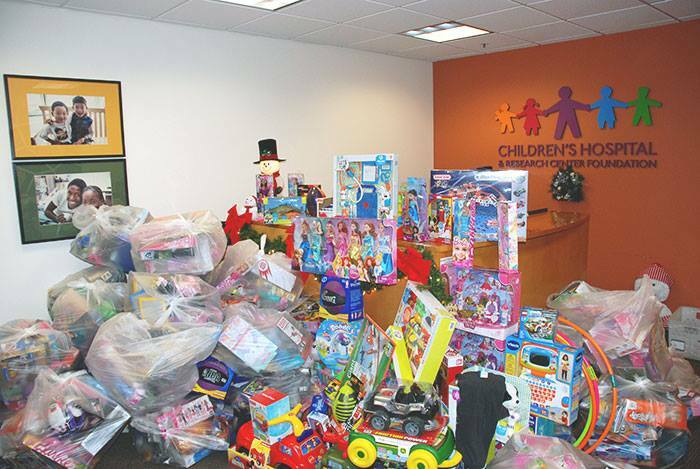 Over $5700 worth of toys were delivered to Children's Hospital Oakland yesterday by the Pinole PD. They did their annual toy drive at the Target in Pinole and managed to almost empty out the toy section of the store in about 4 hours. Look at this bounty! Our kids will have so much fun opening these presents. "Last evening I received a phone call from officer Burnham and officer Knoblock. They were on patrol downtown and saw a family walking down the street. It was a male, female and 3 small children (2,4, and 5 y/o). The smallest child was in a stroller, while one of the children was pulling a little pink suitcase. Officers Burnham and Knoblock stopped the family to check their welfare at approximately midnight. The family said they had been staying with family in Sacramento, but had overstayed their welcome and been asked to leave. The family had no where to go and were thus homeless. They could not make any other plans until Monday. The family never asked for any help from the officers. Officer Burnham and Knoblock transported the family to a hotel and paid out of pocket for a room for 2 nights. 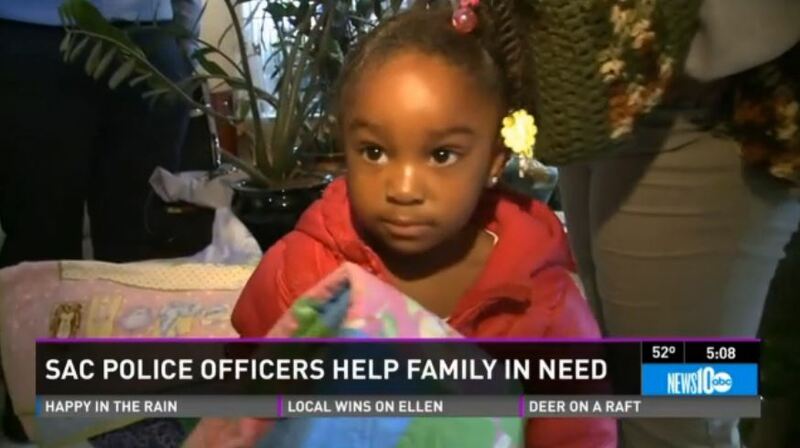 Sacramento Police Cares was able to reimburse them before the end of their shift this morning. Both the parents were in tears when officers dropped them off. Thank you Burnham and Knoblock for caring enough to stop and help this family out!" We are overwhelmed with your generosity! 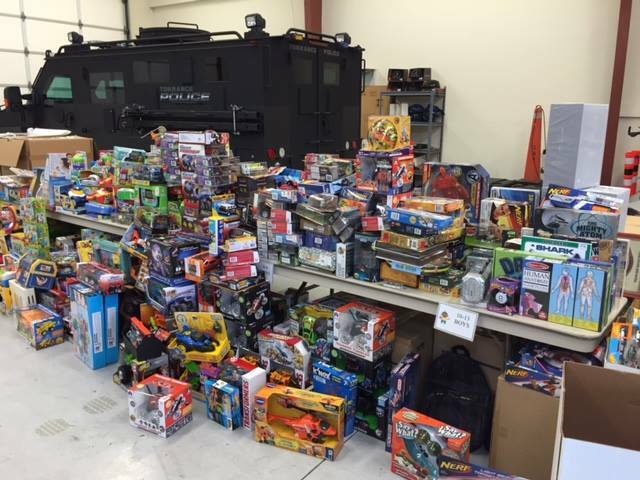 Take a look at today's haul of toys for the Police and Fire Department's Holiday Toy Drive... These toys are right now being bagged for delivery to less fortunate kids in the City of Torrance. “Christmas Fantasy Flight” event in San Jose! 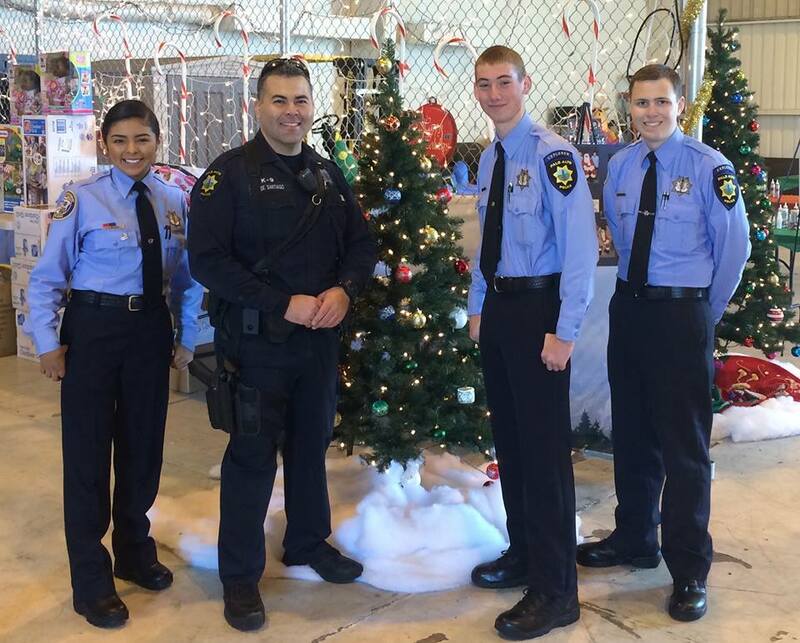 Officer Carlos De Santiago and these three PAPD Explorers were among those present to help with this special occasion. 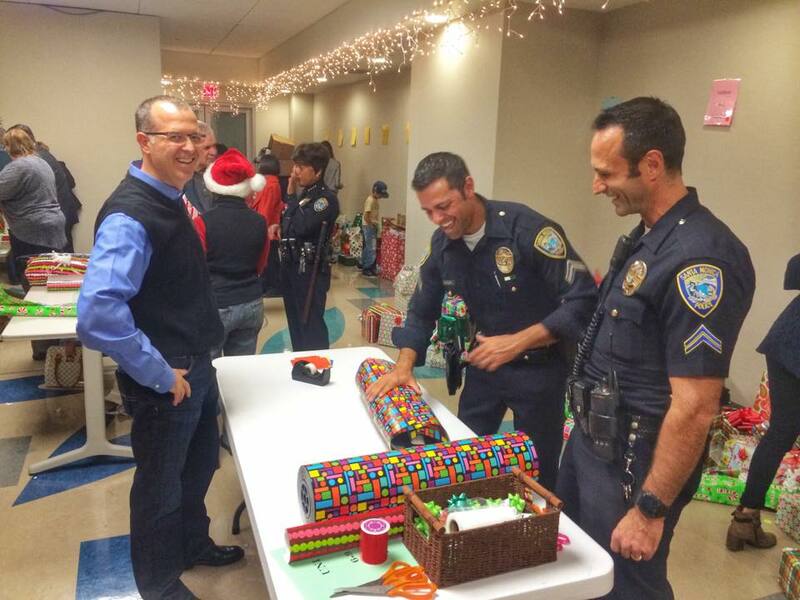 Roseville and Rocklin PD "Shop with a Cop"
Comments on "Getting into the Holiday Spirit"